Are you opening a new salon or interested in upgrading your current space? These 12 tips will help you choose the best salon equipment for your needs. Putting up a salon isn’t cheap. In fact, buying all you need can be pricey. The cosmetology industry in the United States has annual sales of $46 billion. But if you want to go solo and have your own salon, you need a hefty amount of money. Starting out a new business can be tricky, since the first part of your journey has everything to do with your finances. You need to decide what you can afford. And you need to make sure your facilities have at least the basic salon equipment. You need to be as careful in budgeting as preparing for unexpected expenses. More importantly, you need to focus on the delivering comfort and top-notch services to your customers. That’s why your salon needs equipment designed for comfort. We’ve prepared this guideline to help you out with choosing the best salon equipment for your space. Remember, these devices, furnishings, supplies, and tools should allow you to give your customers the beautifying and pampering they deserve. But as crucial is to ensure you can use them to deliver quality services for a long time. As such, durability should top your factors for consideration when choosing salon equipment. Yes, you might spend more on purchasing brand new equipment. But if this means it serves your valued clients for a long time, then it’s an expense worth spending. It’s easy to fall into the temptation of second-hand equipment. After all, it looks okay and it’s cheaper. The question is, how many more years can you get out of it? Just think about it: You’ll use many product displays to feature the quality materials and supplies you use for the salon. If the display furniture itself looks worn, do you think it can carry the burden of all those other items stacked on it? Also, imagine how out of place it’ll look in the salon. To keep things simple, let’s compare buying used or brand-new beauty salon equipment. Used equipment can come out as a great deal because it’s way cheaper than investing in newer ones. But, can you really take the risk of having something without warranty? How sure are you that the used equipment is in top condition? Buying brand new equipment comes with the assurance that it’s under warranty, not to mention that it’s one of the latest models. Moreover, you’re certain that it won’t malfunction. Yes, brand new equipment comes at a higher price, but the years it will serve you is enough for its price. Besides, there are ways for you to save on costs. It’s actually possible to buy quality equipment at reasonable prices. There are financing programs, for example. Did you know that it’s way cheaper to buy salon equipment directly from distributors? The reason behind this is that they offer discounts and packages, especially if you buy in bulk. Buying a generous number of products and equipment can save you more money than buying each one individually. You just need to make sure you buy them from reliable and reputable wholesale suppliers. This way, you’re certain you get the best quality products for your customers. Yes, we understand that you want to establish your salon without breaking the bank. Before prioritizing price though, consider how equipment quality can affect your operations. Cheaply-made equipment, tools, and furnishings, or less-than-stellar performing ones can just as quickly disrupt your tasks when they break down. It’s for this reason you want to buy only from brands and distributors known for their exceptional products. This’ll ensure that safety and effectiveness. Branded products went through rigorous testing to make sure they’re high-quality after all. One more thing: keep in mind your salon equipment and furniture will serve your customers. If they’re substandard, your reputation takes a hit. Your customers might not return to your salon again. Simply put, you want branded equipment because it’s your credibility on the line. Consumers are all about professionalism, especially since it’s aesthetics we’re talking about here. So, for increased sales and repeat sales, invest in high-quality equipment from reliable brands. The term “equipment” refers to all important objects needed to operate the business. These include furniture, machines, and all supplies. When buying your equipment, don’t just look at the price as the only consideration. Always look for warranties and guarantees. With economic uncertainties still looming, many businesses are becoming wary of large investments. Of course, with small business, any form of investment should be a sure ball. You can’t afford to lose on unexpected expenses, like when a machine malfunctions and you need immediate repairs. The warranty of a piece of equipment can make a huge difference in repair and maintenance expenditures. And only reliable companies offer such, since they’re that confident their products are of top quality. Majority of beauty salons offer services in hairstyling and basic skin care. In the United States, there are an estimated 210,000 beauty salons. With all these salons, you need to up your ante and make sure the one you’ll establish can compete. In designing your salon, you need to determine what major procedures you’ll provide. Say you’re more on the hairstyling side. Then the major equipment you need to invest in includes a hairstyling chair, good scissors, and blow dryers. If you want to focus on skin care, you need to invest in laser machines, facial beds, and skin care products. Other equipment includes tanning beds and overhead lights among others. In any business, you need to always consider your target customers. Do you see a pattern in your customers? Determining your target customers help you figure out which equipment to invest on. If your customers are mostly younger people, you might determine which services they would likely get. For example, younger people, like teenagers and young adults, will try your skin care services since many of them suffer from acne breakouts. In this case, then focus on basic skin care essentials rather than those for hairstyling. On the other hand, if your market consists of middle-aged women, then you’ll do better by offering hairstyling packages. You can concentrate on which beauty salon equipment you’re more likely to use. Starting a business is not as easy as it seems. One of the problems that you’d have to face is the large stash of money to get the best salon equipment. If you think that paying cash is beyond your budget, explore your financing options. Some distributors offer discounts on their products. Choose the distributors who can provide you with best ones at a reasonable price. Also, there are companies offering installments for salon must-haves. This can help you get the equipment you need right away, and then pay for it in increments. All you need is keep delivering great services, earn from it, and make the monthly payments. 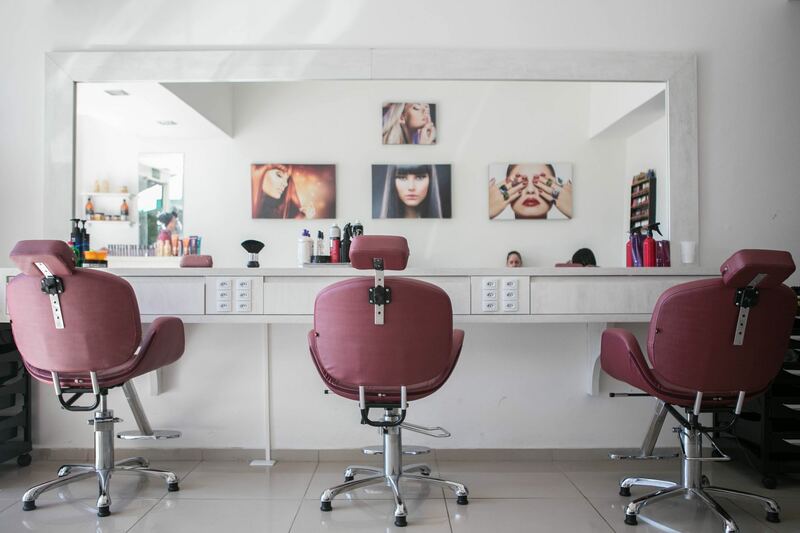 When starting a salon business, it’s wise to invest in high-quality salon equipment and furniture. But you also need to consider that modern equipment is now better than traditional ones. Modern equipment is cost-effective and can save on energy costs. They also attract the attention of potential customers. Stylish yet fully-functional equipment also makes your salon appear more credible and professional. Customers would rather receive salon services with great facilities. They want only the best deal for their money’s worth. And they know that modern equipment offers efficacy and safety, so they’re more likely to choose an establishment using such. In choosing the best salon equipment, you need to consider if these will suit your salon’s design and image. Everything should coincide with each another for the salon’s success. If you have a theme in mind, make sure that everything in the salon will match. Matching your equipment and furniture with the rest of the salon’s interiors can enhance its aesthetic value. Many customers consider the fa?ade of a certain business and base their expectations on it. Moreover, the image of your salon should be firm and fun. Remember, your customers are picking from dozens and dozens of salons. Make sure you let them realize your salon is the best among them. Advertisements are not really bad. But many advertisers use manipulative tactics to influence buyers in ways they do not realize. Many would buy a product just because they saw it in the ads. Advertisers are good at persuading customers to buy a certain product or service. In fact, the United States is the largest advertising market worldwide. The country spent as much as $190 billion on advertising in 2016. You can also ask for inputs from experts in cosmetology. In the industry, they are the ones who have the most experience and knowledge on the best equipment. Thus, be wise and don’t just base your purchase on something that an ad talked about in fancy ways. Yes, you’ll never know until you try it, but it’s way better to know a little more about the product before spending a lot on it. Starting any business is a daunting task. You have a lot at stake. You need to take care of everything from planning to purchasing. Buying high-quality products and equipment should be your highest priority. Buy only from reputable companies that work hard to protect the interest of their customers. When you’re dealing with a customer’s hair and skin, being safe is vital. And that’s where we come to the rescue. Our extensive line of beauty salon equipment can fit your specific needs and preferences. So, please feel free to contact us for more details and quotes!